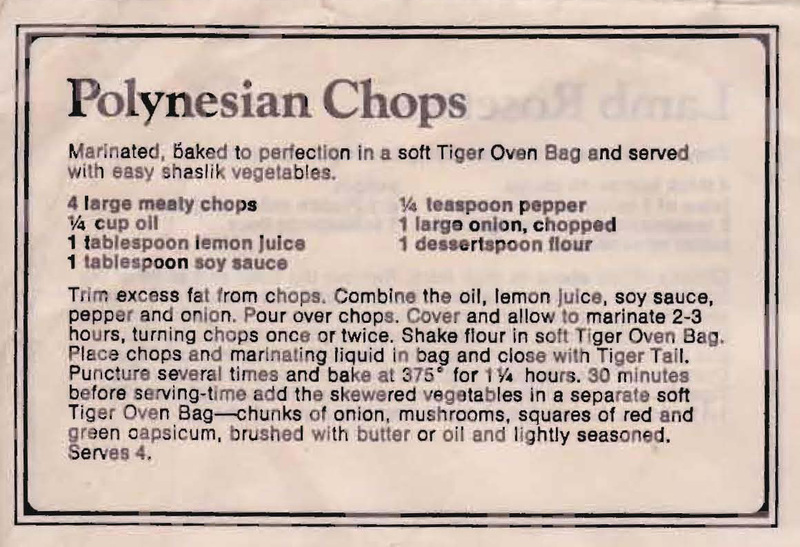 To be honest I can’t really see anything Polynesian in this recipe, but I think the marinade does sound tasty. You get much the same result if you use a casserole dish instead of the oven bag, but the good thing is you don’t have to wash it afterwards. 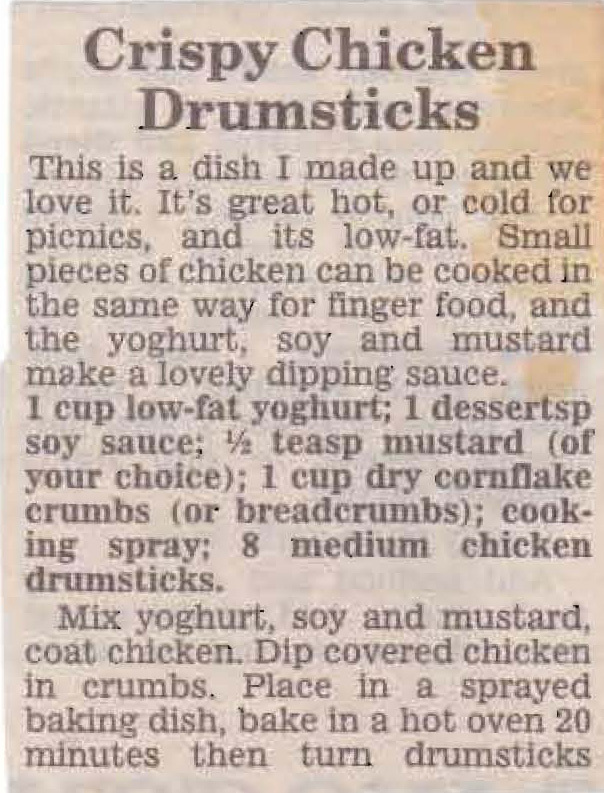 The recipe suggests using these chicken drumsticks hot or cold for picnics, but I think you could also make the recipe using chicken wings or chicken tenders and serve them up as party finger food. The cornflake coating would give them a lovely crunch. 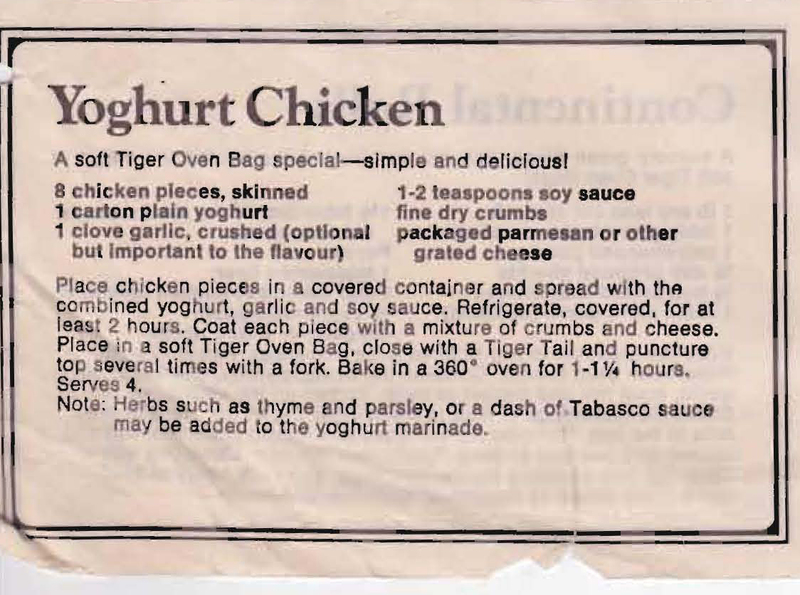 Another recipe from the Tiger Oven Bag collection. 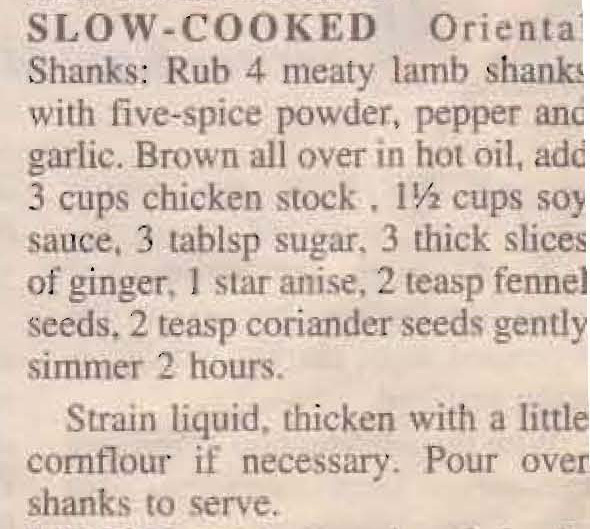 The marinade sounds tasty and except for crushing the garlic not much work. Like most of the oven bag recipes I don’t think the bag is essential, cooking it in a little oil in a dish would work just as well.